DISPENSA Tandem offers a completely new potential for food storage. 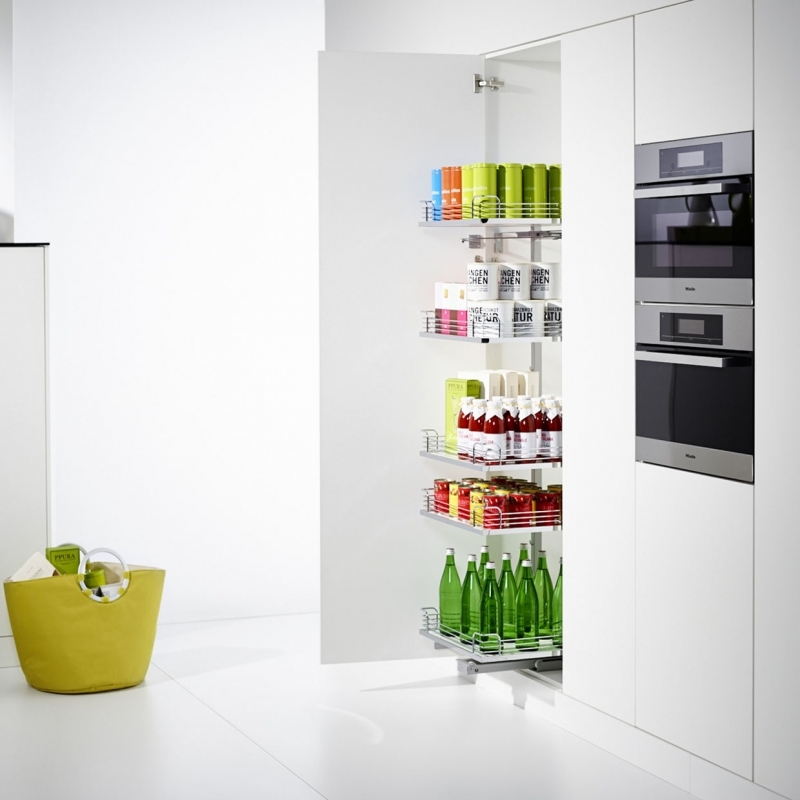 In a clever piece of engineering, the back shelf moves automatically towards the user as the door is opened. 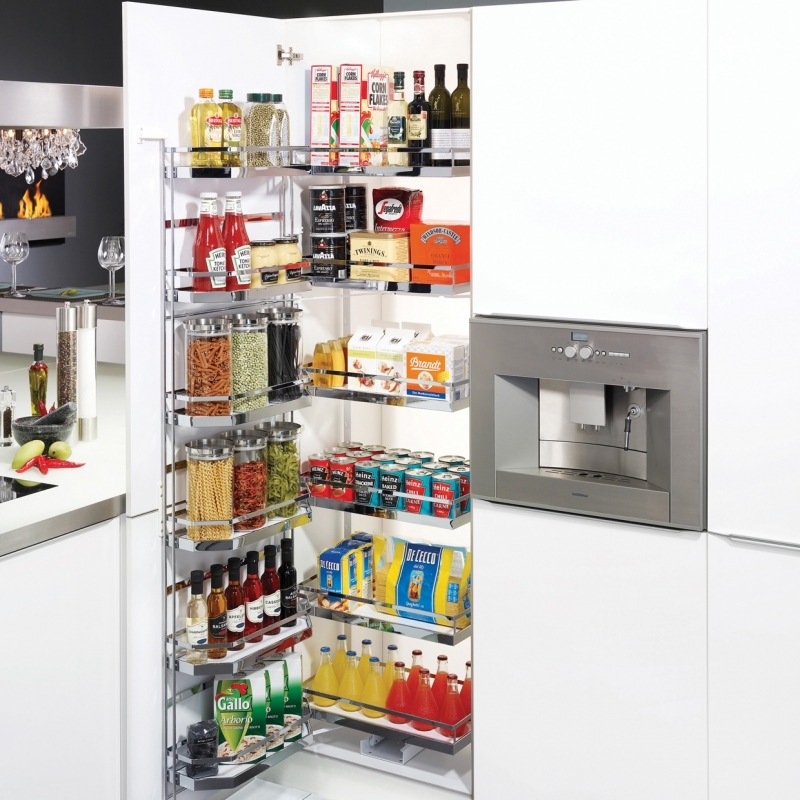 Kitchen users can check the contents at a glance and easily reach what they want. 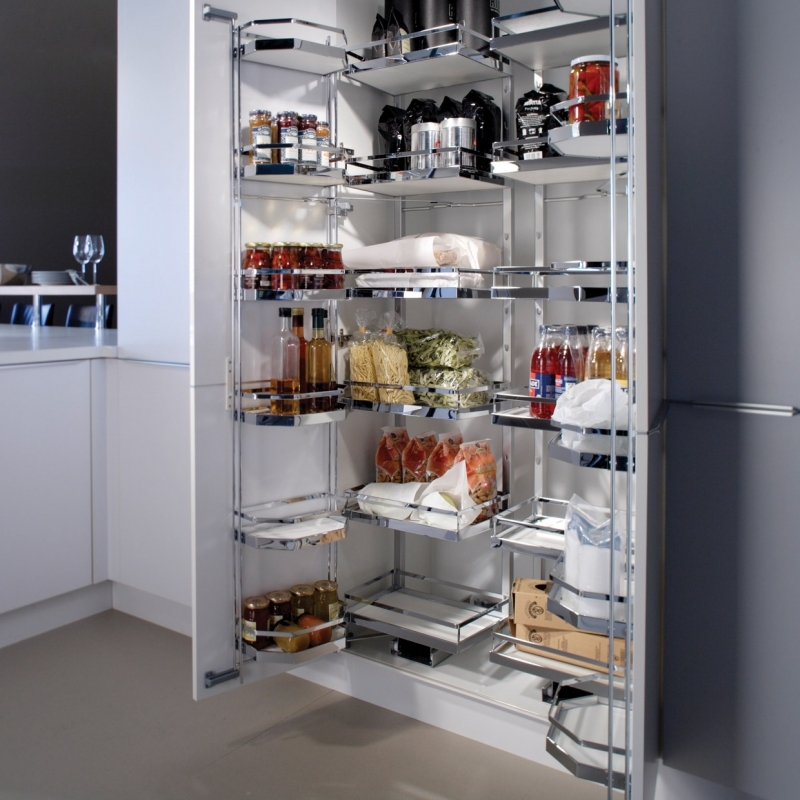 By combining two Dispensa Tandem units you can create the complete centralised storage solution for your kitchen. TANDEM Solo offers a simplified solution with the characteristic opening experience of all Kesseböhmer fittings where all elements are linked in a smooth flowing movement. Opening the door draws the fitting forward with all the contents; the door opens on hinges with 110° opening angle. The closing damping is integrated in the hinges. 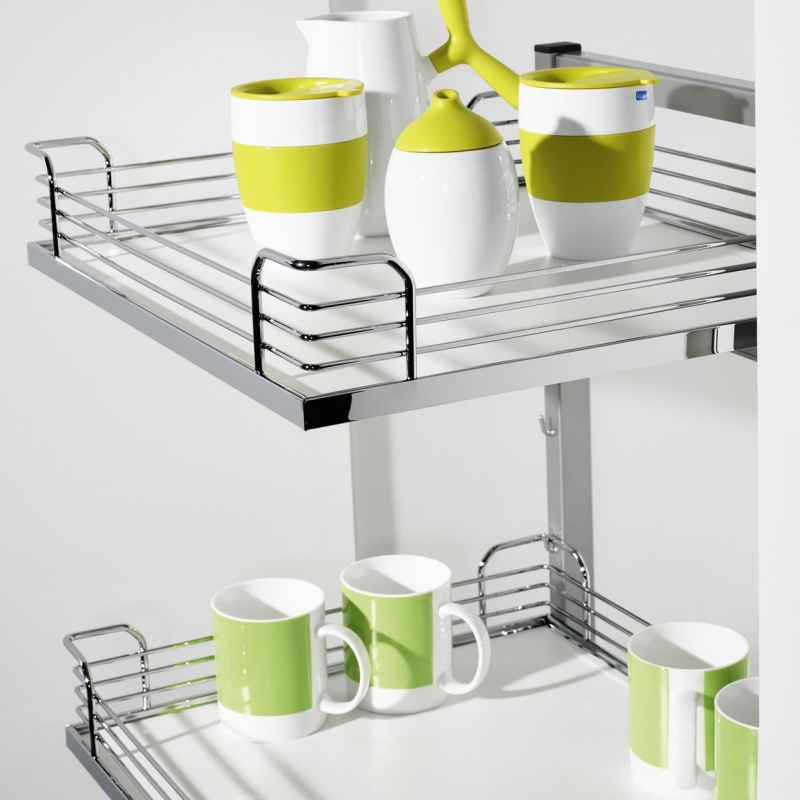 Up to six trays can be clipped onto the frame at freely chosen heights. The fitting can be installed right or left, which also helps to simplify logistics.